Throughout the ages, food has been known to have powerful properties. Thus the saying, you are what you eat. Some food goes above and beyond it's nutritional value, providing phytochemicals, potent compounds, that promote healing and directly attack harmful pathogens. The following three foods are found in most kitchens and are scientifically proven to be effective remedies for common health complaints. Ambrosia, food of the gods, this is what the ancient Greeks called honey. Hippocrates, known as the founder of medical science, praised the nutritional and therapeutic value of honey, and used it both as food and medicine. Recent studies continue to support what ancient practitioners have long touted about honey's ability to prevent and fight infection. Not only does honey have antibacterial properties, but honey has proven effective in killing antibiotic-resistant bacteria. A study published June, 2008 in the journal, Clinical Infectious Diseases, an official publication of the Infectious Diseases Society of America, found that honey was effective in killing strains of bacteria known to be drug-resistant. 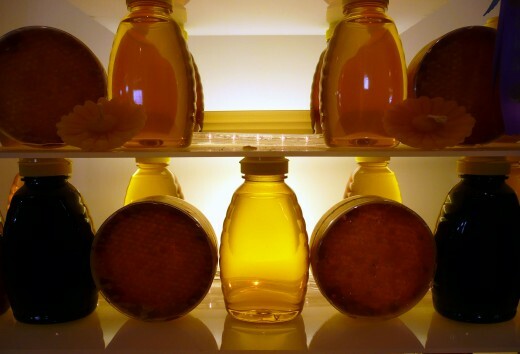 Honey not only kills known antibiotic-resistant bacteria, it does so without the bacteria becoming resistant to honey. Dr. Susan Meschwitz is a research chemist that is interested in compounds that inhibit quorum sensing, the communication system of bacteria. She is focusing on honey because it impacts the virulence, or aggressiveness of bacteria. The antivirulent property of honey means that it does not put the same survival pressure on bacteria as antibiotics, thus honey does not promote resistant bacteria. 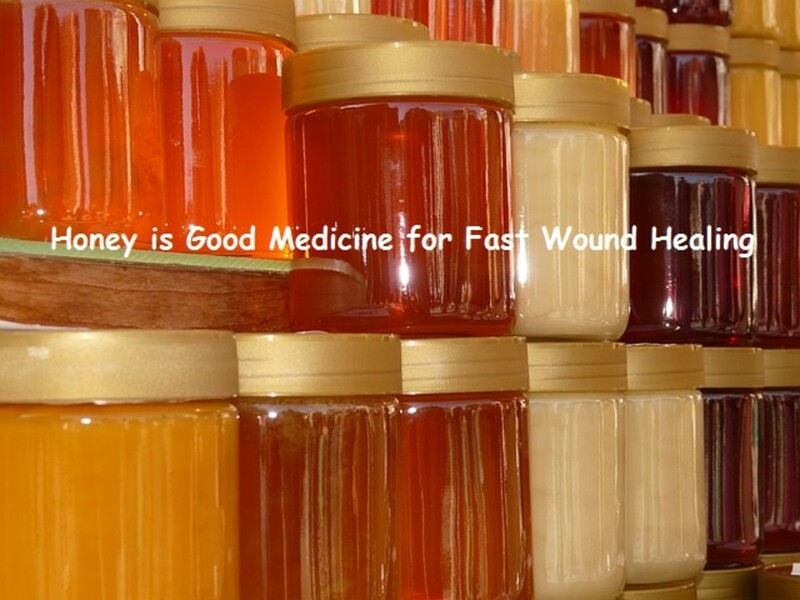 Honey can be used topically to treat wounds, burns and skin infections. Make sure the area is clean before applying honey to the skin. Avoid getting honey beyond the affected area, so as not to interfere with bandaging. Cover the area with a bandage. Reapply the honey as needed. Taking honey orally can help fight internal infection such as stomach ailments and sore throats. Take a tablespoon of honey and repeat every couple of hours for as long as needed. 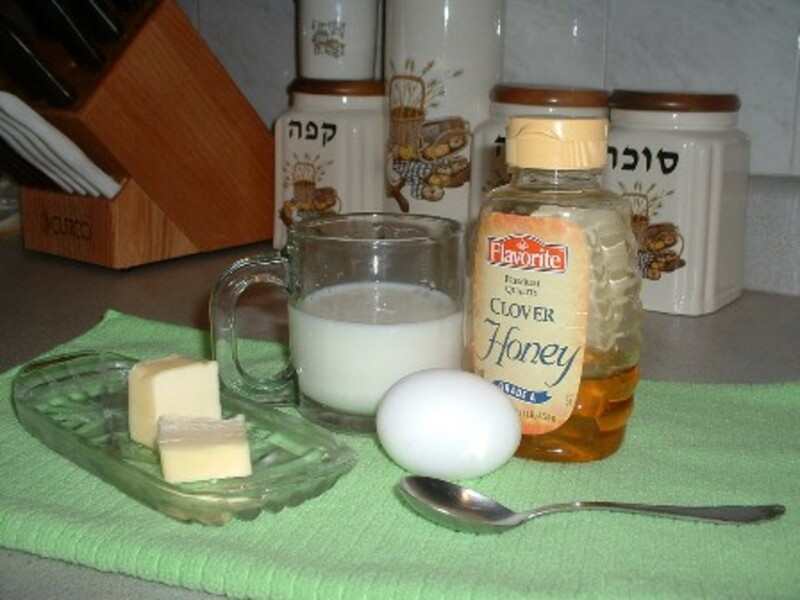 A spoonful of honey to treat a cough or sore throat is an old folk remedy. 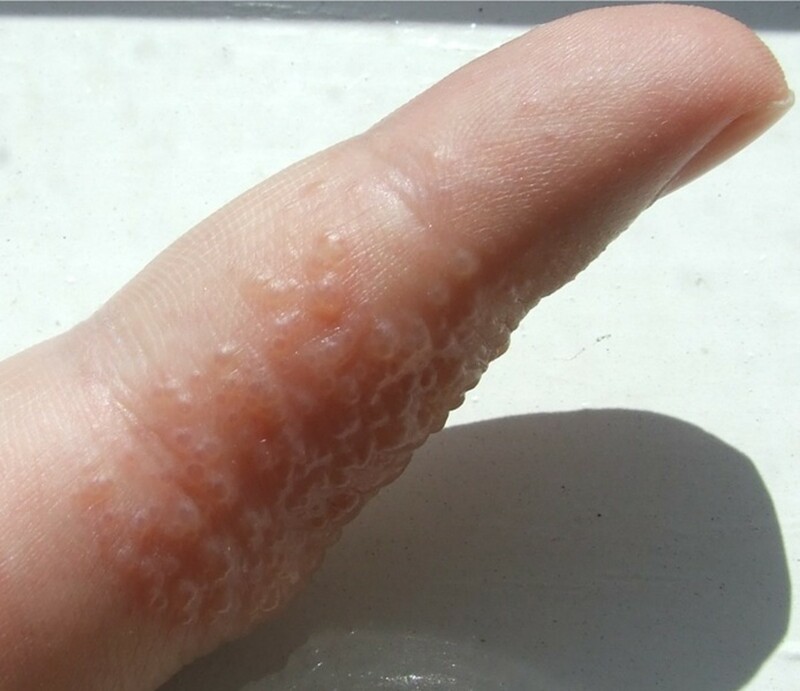 The reason that this folk remedy has persisted throughout the years is because it works! According to the Mayo Clinic, honey is as effective in suppressing cough as dextromethorphan, the active ingredient in most over-the-counter cough syrups. Not only does honey taste better than cough syrup, honey can not be abused like dextromethorphan, and honey has no adverse side effects. Honey is known to be anti inflammatory. The anti inflammatory property of honey is so effective, a recent study showed honey is a promising agent in treating the inflammation caused by arthritis. Honey's ability to reduce inflammation is what makes it so effective as a cold and flu remedy. 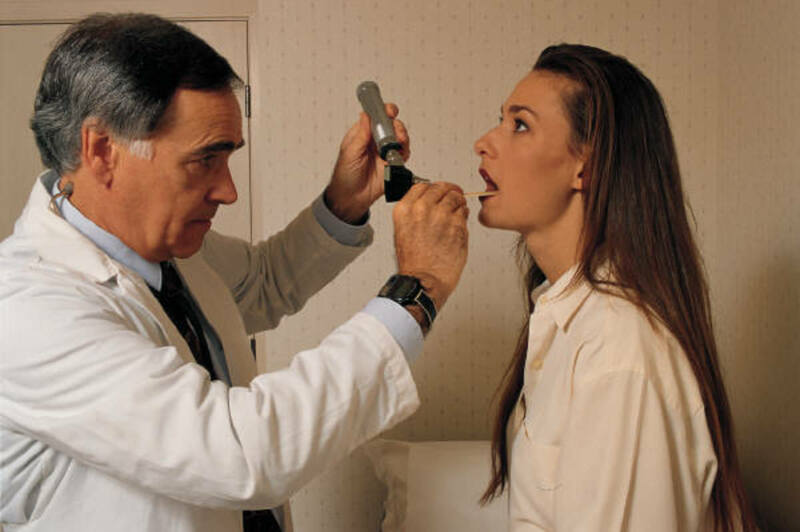 When the irritation of the throat is reduced, coughing is reduced. Honey also soothes a sore throat on contact, as well as acting as an anti inflammatory, offering longer-term relief from throat pain. So instead of driving to the drug store for cough syrup or throat lozenges, simply head to the kitchen and treat yourself to a spoonful of honey. 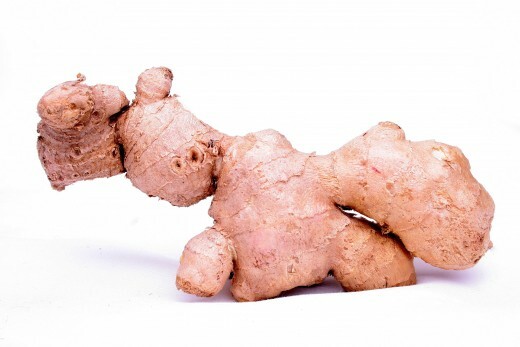 Ginger is more than just a tasty root used to spice up baked goods and flavor Asian cuisine. Ginger has long been hailed as a digestive aid and has great healing properties to help settle an upset stomach. Want to head off heartburn? Ginger to the rescue! According to Dr. David Williams, a medical researcher and biochemist, eating a teaspoon of freshly grated ginger can be as effective as acid blocking medications used to treat acid reflux. Unlike over-the-counter and prescription drugs, ginger has no known side effects, or risk of overdose. Ginger's historical use to calm the stomach has led researchers to put ginger to the test. Recent studies have shown that ginger is helpful in preventing and reducing nausea that is often experienced by chemotherapy patients. There is also scientific support for the use of ginger with postoperative patients. In a recent study, ginger proved to prevent or reduce nausea and vomiting caused by drugs used during surgery. Those suffering from morning sickness associated with pregnancy can also benefit from ginger. A study conducted in 2005 showed that ginger was a promising natural treatment for pregnancy-induced nausea and vomiting. In this study, over 60% of the participants responded favorably to treatment with ginger. The use of ginger was proven to be as effective as the reference drug used in the study. With no side effects or risks, ginger is an optimal choice for both mommy and baby. For those suffering from motion sickness, skip the dramamine and opt for ginger instead. According to the University of Michigan, taking 1 gram of ginger before travel, and again every two to four hours during travel, reduces the occurrence of nausea and vomiting associated with motion sickness. Fresh ginger root is found in the produce section of your local grocery store. Select a piece of ginger root that is dry and firm. Examine the skin to be sure it hasn't wrinkled or withered. Do not peel the ginger you intend to store, only peel pieces intended for immediate use. Before storing the ginger, blot off any moisture, then place it in a self-sealing bag. Remove as much air as possible, seal, and store in the refrigerator. You can then cut off pieces of the ginger root as needed. Simply blot the moisture from the cut end of your remaining ginger root before resealing the bag and refrigerating. Using this method, the ginger should be good for up to four weeks. Some people enjoy the flavor of ginger and simply peel it and eat it raw to settle an upset stomach. You can carry bite-size peeled ginger in a self-sealing bag to treat morning sickness or motion sickness on the go. Ginger tea is an alternative for those who do not care to chew on raw ginger. For those suffering from nausea associated with a cold or the flu, ginger tea is not only therapeutic, but comforting as well. Peel a one-inch piece of ginger and thinly slice. Place the ginger slices into a cup or mug, and fill the cup with boiling water. Allow the ginger to steep in the hot water until the temperature is cool enough to drink. Leave the ginger slices in the cup, sip and enjoy. If you like, you can add lemon and honey to taste. After drinking the liquid, the ginger may be consumed or discarded. If you don't have time to use fresh ginger you can use ground ginger right from your spice rack. Stir 1/2 teaspoon of ground ginger into boiling water and let it sit for 3-5 minutes. In even a bigger hurry? Mix 1/2 teaspoon of ground ginger into a tablespoon of honey and simply eat it. According to the National Cancer Institute, consumption of garlic is associated with a reduced risk or cancer. Several population studies in the United States, Europe and China show an association between the intake of garlic and a reduced risk of cancers of the stomach, colon, esophagus, pancreas, and breast. Researchers recently discovered that the compound DATS found in garlic significantly blocks the reproduction of cancer cells. 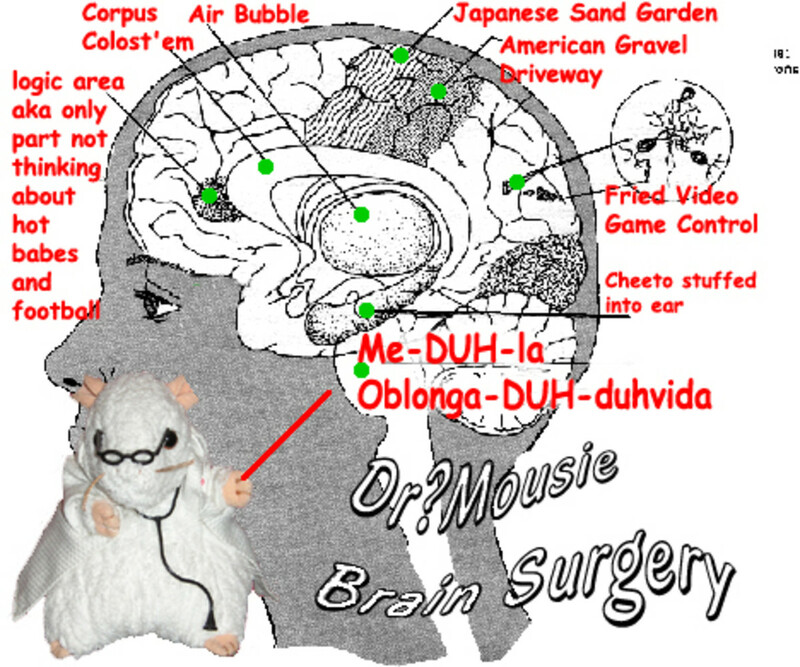 A study in 2013 showed an exciting 60-74 percent shrinkage in tumors in mice. This has led researchers to be cautiously optimistic, since the best drug currently on the market only produces tumor shrinkage in the 30-40 percent range. The current scientific findings suggest that garlic is not just tasty, it is a potent anticarcinogen that can easily be incorporated into the diet. For centuries, garlic has been used to improve immune response and treat everything from the common cold to bladder infection. Once again, it turns out that the wisdom of the ages is still relevant today. A study published in July 2010, confirmed that garlic possesses antibacterial properties effective against Staphylococcus aureus and Escherichia coli, common strains of bacteria responsible for staph infection, pneumonia, as well as other common infections, such as urinary tract infection. Bacterial infections of the stomach, commonly called food poisoning, meets it's match in garlic. The antibacterial properties found in garlic pack a powerful punch against common bacteria associated with foodborne illnesses. 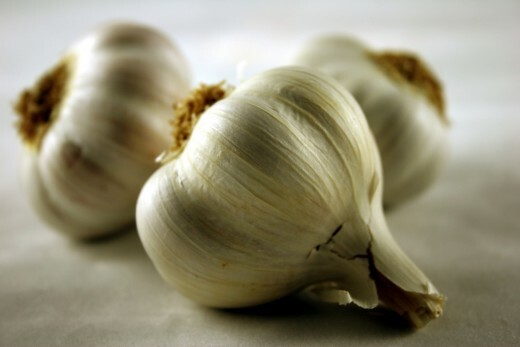 Unlike prescription antibiotics, garlic can treat food poisoning without the risk of side effects. When you're already sick, who wants to worry about other adverse effects? 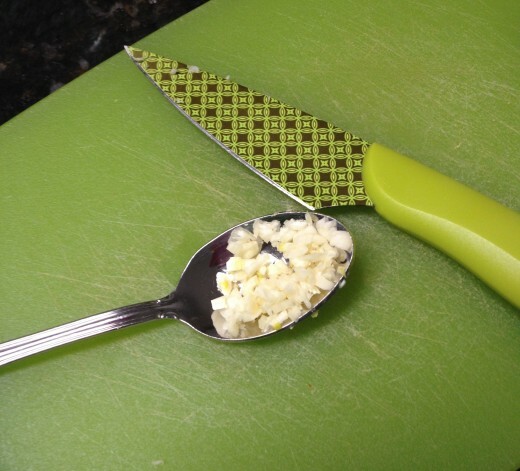 To use fresh garlic, peel one clove, mince and swallow with water just as you would take a pill. Be careful not to chew the garlic and you'll avoid the pungent taste. If the garlic taste is too strong for you, take a spoonful of honey directly after the garlic. You'll not only chase away the taste, but you'll add another ingredient with bacteria fighting power. When do you usually reach for a home remedy? Honey, ginger, and garlic are nature's answer to many of the common ailments we encounter. These foods will not only help perk you up when you are sick, they will help ward off bacteria and inflammation, improving your overall health. Incorporate these foods into your daily diet and you'll reap tasty benefits. Keep plenty of honey on hand to stir into tea, sweeten breakfast cereals, and drizzle on bread. Use fresh ginger in salads, soups and stir-fries. 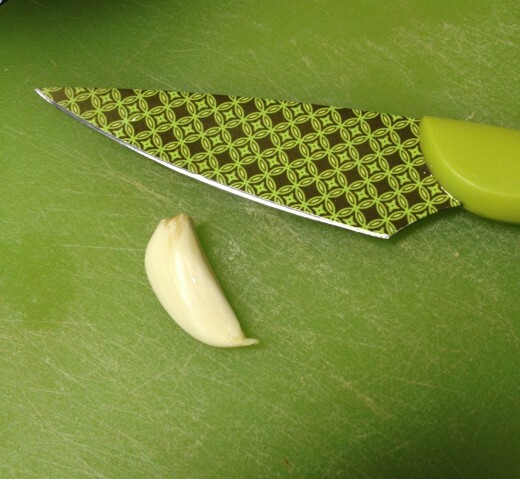 Add fresh garlic to most any savory dish to pump up the flavor and add an antioxidant boost. However, no matter how hard we try, there are days we don't feel well. When we do become run down, feel a cold coming on, or find ourselves fighting an upset stomach, remember, the kitchen is a lot closer and safer than the drug store! Gogol-Mogol. Grandma's Remedy For a Sore Throat, Cough and Cold. 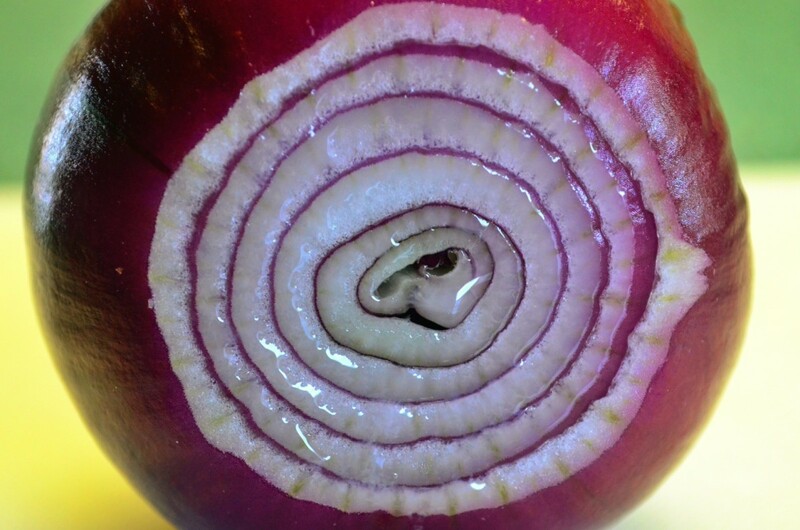 Peachpurple, thanks for sharing an alternative to swallowing minced garlic. Here's to good health! Littlething, it seems that mothers often know what's best. They may not always know why something works, but they know what works! Great Hub, very useful. I knew about ginger being a treatment for nausea. My monther made us ginger tea or got us ginger ale when me and my siblings had the stomach flu. Thanks for the new information! Thanks for organizing useful info in this hub.